WAR EAGLE and Welcome to 10-0!! We’ll be watching the game at Buckley’s Belltown location ( 2331 2nd Ave–Seattle, Washington 98121–(206) 588-8879) – they’ve reserved a spot right up front for us so we’ll be easy to find—lots of TV’s and plenty of space so bring your friends, bring your family! And also bring—some non-perishable food for our Annual Food Drive for Northwest Harvest! 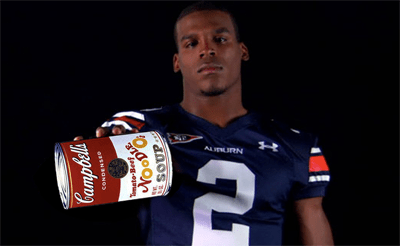 YES We CAM, Can Food Drive! So come out and support our Auburn Tigers as they play UGA –Game Time 12.30!! PS–Parking Tip of the Day–There is a lot on 1st Avenue between Battery & Bell Streets (right beside the Belltown Bistro)–the back portion of that lot is $4 till 5pm–you may or may not see the sign, but it’s true!